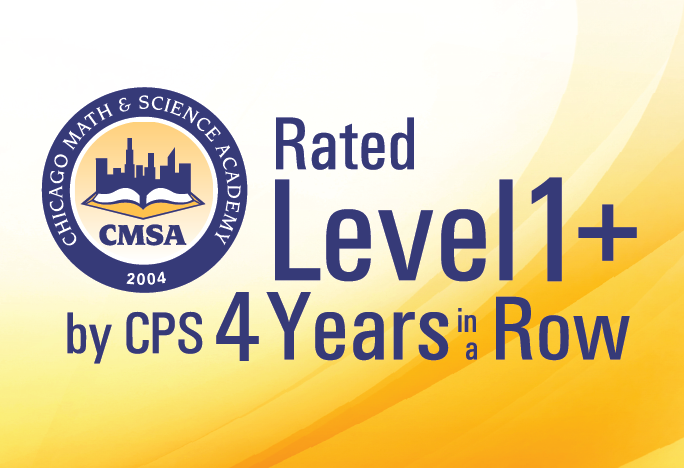 Chicago Math and Science Academy (CMSA) Charter School by Concept Schools > Why us? We strategically build a strong sense of community where each member is valued. Our students develop a sense of belonging and pride Chicago Math and Science Academy. This quality of our school also provides a physically and emotionally safe environment to our students. We partner with local universities, community based organizations, and other businesses in our community to create further opportunities to our students. Such partnership allows our students to improve their skills that are necessary to be successful in such a competitive global world.